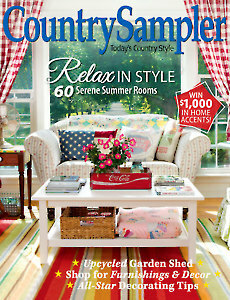 Set off decorating fireworks in your home with the summer decor-filled July 2017 issue of Country Sampler! 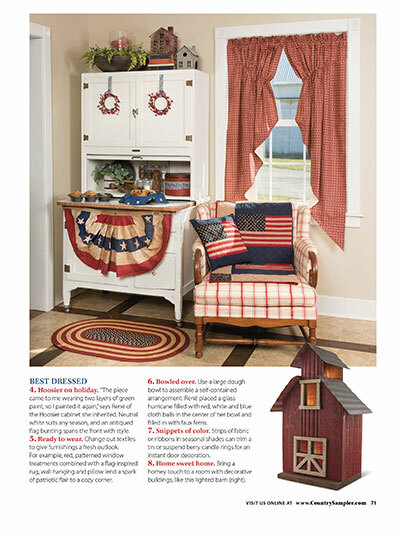 You’ll find inspiration for every room with all-star patriotic displays, stellar summer homes and a whimsical garden shed. 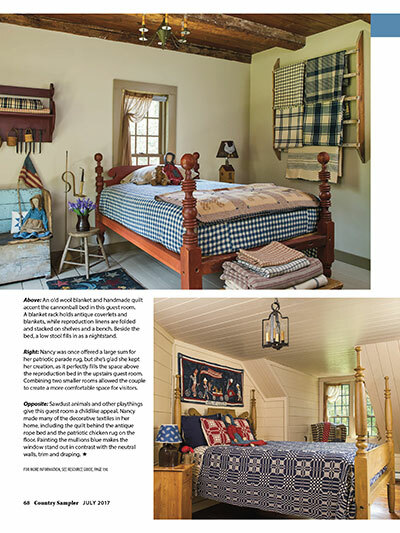 Tour four serene country houses full of unique styling ideas and discover spirited summer vignettes in our Thrifty Thinking section. 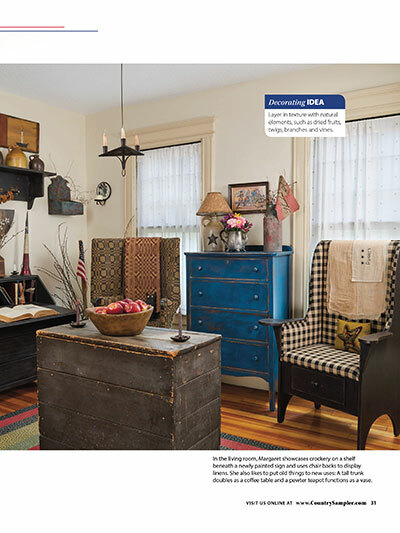 Check out the Americana-themed decorating accessories in Country Treasures and get interesting facts and figures about noteworthy antiques in Antiques Q&A. 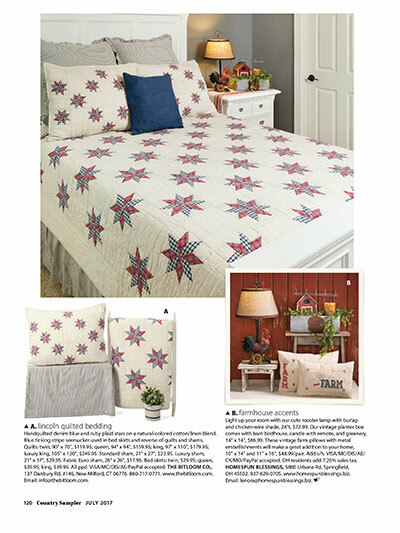 You’ll learn how to infuse your home with true-blue country decor in Decorate with Crafts! 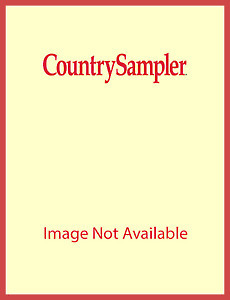 Browse our Craft Fair for the latest in country furnishings, decor, gifts and more. 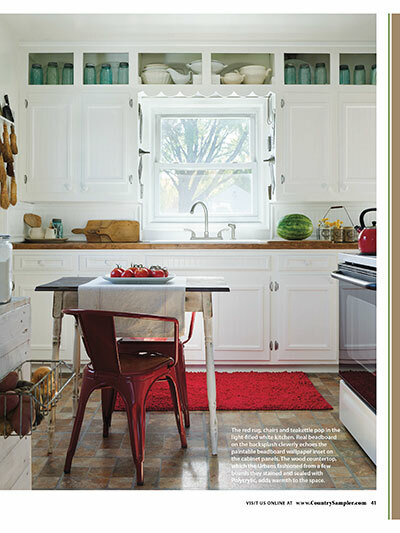 Don’t miss a thing – download (or subscribe!) now!